Teaching kids how to invest is important because knowing how to invest wisely is an incredibly valuable skill to have. That’s why it’s so important to teach kids about investing when they’re young. If a child understands the importance of investing from an early age, they’re less likely to make financial mistakes when they’re older. There are many parents who teach their kids to invest. CNN recently shared a story about a mom who tackled the topic of stock investing for kids by helping all three of her kids buy various stocks. They have a friendly competition where they track their returns. This is a perfect example of how stock market investing for kids can be fun and educational for the whole family. 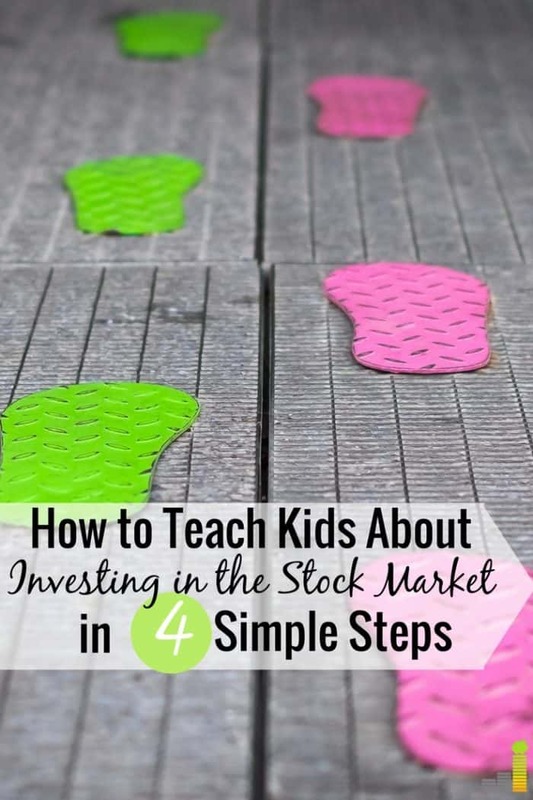 Of course, investing is something many adults have a hard time understanding, so it’s best to start small when introducing the concept to kids. First, you want to go over some investing lingo. Financial terminology can be confusing, so start your investing for kids lesson with a few basic definitions. Teaching them what a stock is can be a good place to start. Another great way to teach kids about investing and the stock market is board games. You can check Amazon for some of the best investing games for kids to help get them started. Tell your child that when they buy a stock, they own a small piece of a company. If you want to buy them their first stock, stick with something they recognize, like Nike or Disney. The added bonus is that if you take them to Disney World, they can run around knowing they are a partial owner of the company! As your kids grow, you can build on their financial vocabulary. By the time they’re adults, they’ll be well equipped to understand the basics of investing and the stock market. One of the important parts of investing is the interest. After all, if your kids learn how to be patient, they can watch their investments grow over time due to the wonders of compound interest. Not all of us are born with an innate ability to be patient, though. So, teach them how interest works by using cash. This basic concept is two-fold. First, it makes your child wait before they get access to money. If they wanted to buy a toy or game with their earnings, they now have to wait longer. However, the second part of the lessons is that if they do wait longer, they make even more money simply because they were patient. Depending on the age and level of understanding, you can repeat this numerous times, letting the interest grow and compound over the weeks you keep your child’s money. Study after study has shown that knowing how to delay gratification is a strong predictor of future success. If you can teach your kids how to delay gratification using their money, you could be setting them up for a lifetime of patience and financial success. It might be kind of a downer, but another lesson you can teach your kids when it comes to investing are the fees. This might mean that you take a small cut of their allowance because you are essentially the banker! It’s important for them to learn over time that banks and investment companies do charge fees for investing. That’s why you have to shop around and find an investment strategy and partner that works for you. You can teach them how to price compare with something as basic as going to the grocery store. If they learn how to price compare name brand and store brand ketchup, then eventually they can grow and use those skills to compare fees of various banks and brokerages when investing on their own. Remember, investing in the stock market is not an easy topic to learn or to teach. 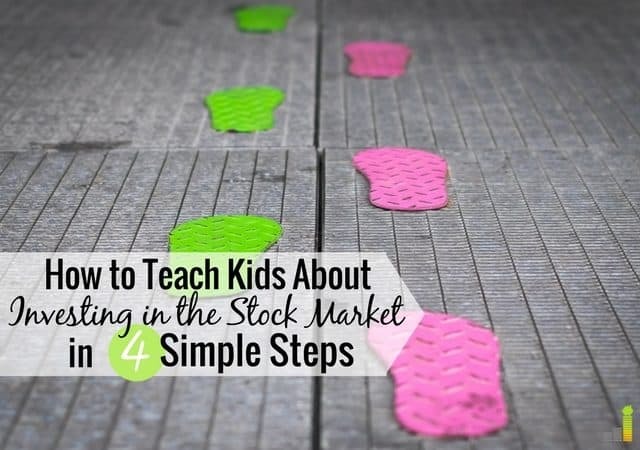 The best approach when teaching kids about investing in the stock market is to simply make investing a part of your normal, daily conversation. Kids will be more excited to talk about something if they have ownership of it, which is why buying individual stocks can be great as a teaching tool. Also, don’t be afraid to let them fail. They will learn powerful lessons from their mistakes. Plus, it’s far better for them to make financial mistakes under your roof than it is for them to make them when they’re older. Do you teach your kids about investing? What strategies work well for developing their financial literacy? How do you explain the stock market to kids in a way they can understand?